MSRP $133,075. 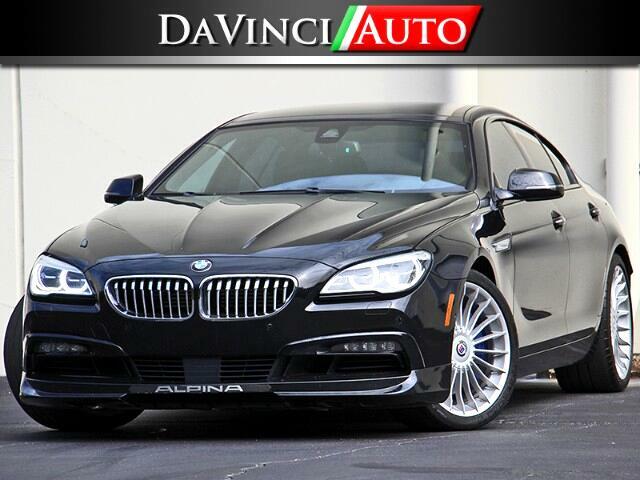 Push high-performance luxury to new heights in the limited-production ALPINA B6 Gran Coupe. With his 4.4L 600HP .Hand-tuned engines, a hand-finished interior, and unparalleled exclusivity: this is not just a luxury vehicle, it’s an ode to the automotive craftsman’s art. Factory warranty until 08-08-2020 or 50,000 miles. Vehicle was reacquired by the factory from it's original owner due to a Driver airbag malfunction light. It has been fully repaired by BMW, and holds a manufacturer buyback title. Take advantage of this and save over $73k from new!! Message: Thought you might be interested in this 2016 BMW 6-Series Gran Coupe.